Truckee is an incorporated town in Nevada County whose name was originally Coburn Station. The old name commemorated a saloonkeeper. Truckee was named after a Paiute chief whose named was Tru-ki-zo. This chief was the father of Chief Winnemucca and grandfather of Sarah Winnemucca. The first Europeans who came to cross the Sierra Nevada encountered his tribe and the friendly Chief rode toward them yelling “Tro-kay!” This means, “everything is alright,” in Paiute. While the area has a long and rich history the town has greatly grown and developed since its inception and today you will find a modern town with outstanding amenities and stunning Truckee Real Estate. Truckee is a place rich in history with a quaint downtown that hosts charming shops, fine dining establishments and more set in authentic historic buildings. Truckee was recently listed on the National Register of Historic Places and the town proudly shows off its historic roots. The Real Estate in Truckee offers a unique blend of modern comfort and historic charm. The town is very well known for its logging, ice manufacturing, the Emigrant Trail as well as for the tragic expedition of the Donner Party. If you are interested in learning more about Truckee and the local real estate opportunities connect with the real estate experts at the Fine Homes Network. 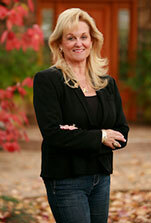 The team can also assist you with Grass Valley Real Estate, Lake Tahoe Real Estate and so much more. Contact the team of professionals today to begin the search for your dream home in Truckee and the surrounding areas.